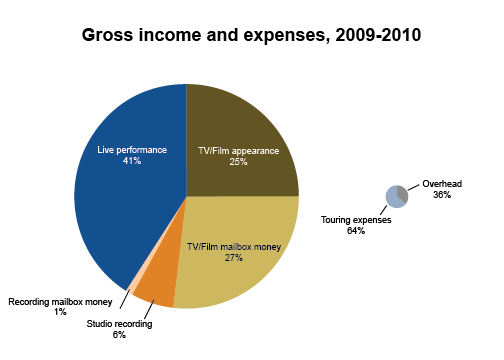 The pie charts below show aggregate gross income, and the related expenses, for 2009-2010. The pie chart for expenses has been scaled visually to represent that expenses consume about 10% of gross income. The table below provides details about expenses from 2009-2010. Unlike other case studies, this musician’s expenses are more like those of a professional orchestra performer or sideman in that she doesn’t have a lot of expenses. While she tours extensively, the featured artist pays her travel costs. The chart below shows income versus expenses on a year-to-year basis. 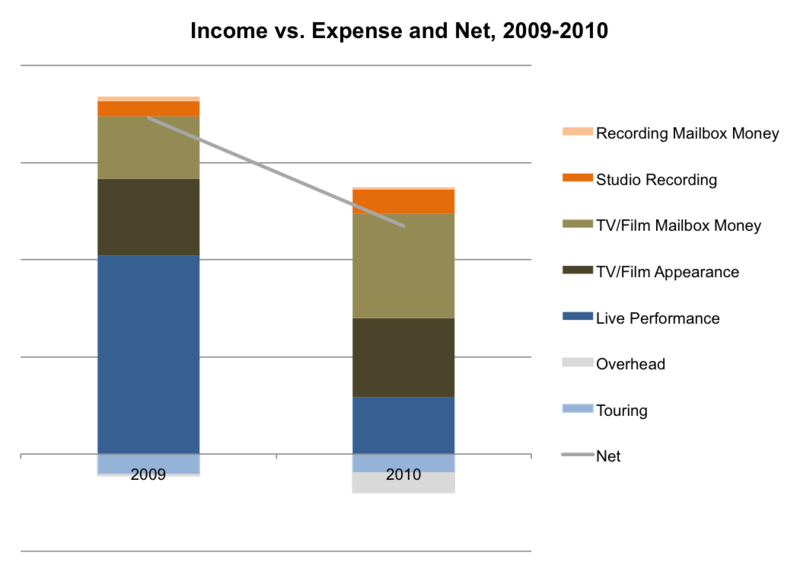 The grey line indicates net income, which varies depending on factors like whether the year’s income includes a lengthy tour backing a featured artist – which would pay a background vocalist soon after the performances – or if the year’s income depends more upon TV/film work and their associated mailbox money, which can take much longer to receive.